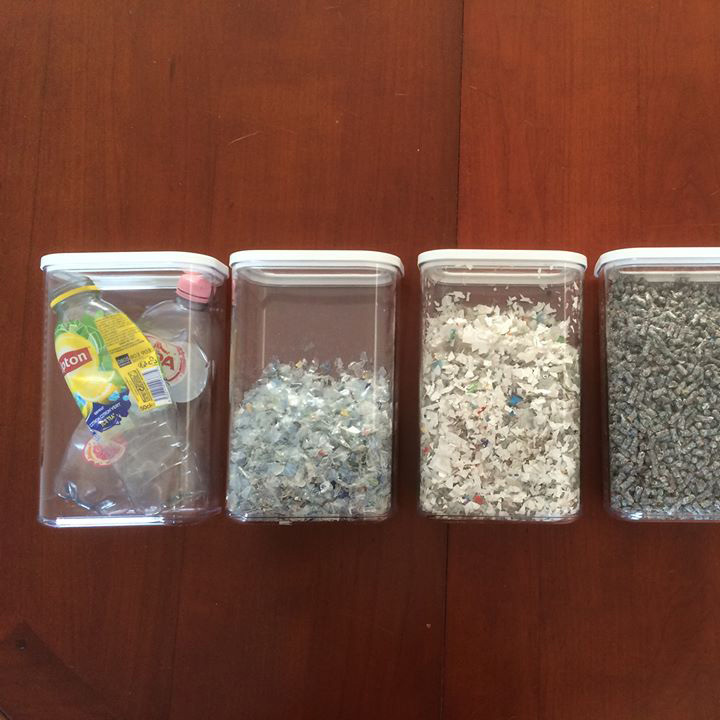 We inspire to reduce plastic waste by developing programs and creating compelling products. Our kids are the future! When in primary school, they are very enthusiastic and caring about their environment. To start a movement, you need to engage as many as possible. We are a partner in national campaigns for a cleaner and more sustainable environment. 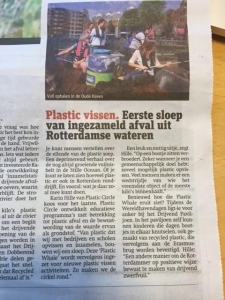 We contribute to the campaign by sharing our knowledge and network in the plastic chain and come up with creative ideas on how to get everyone involved and make it happen. 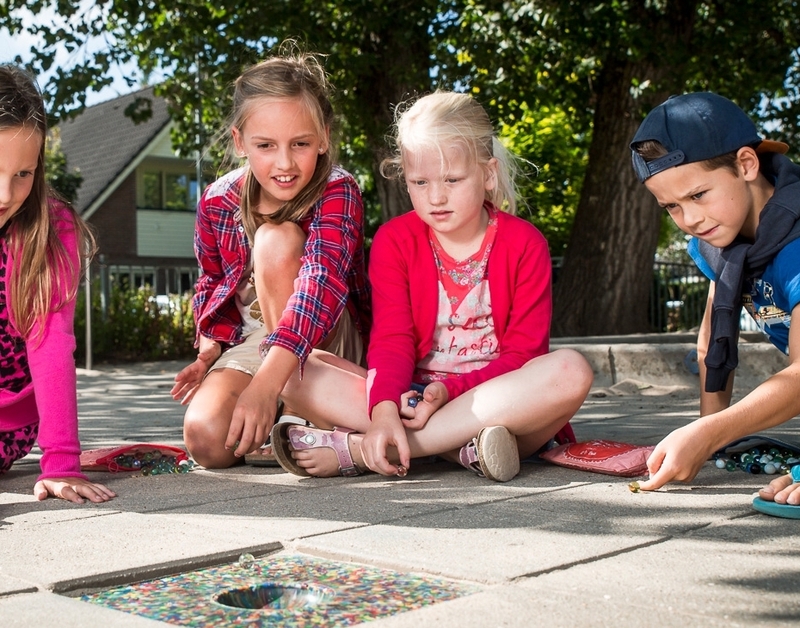 With the marble tile municipalities reward their inhabitants for their contribution to a cleaner environment. 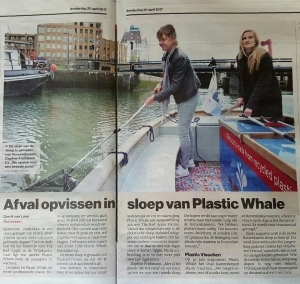 Plastic Whale is the first Plastic Fishing Company in the world! 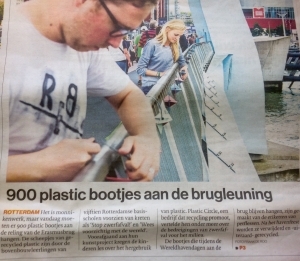 With 9 vessels made of recycled plastic bottles in the Netherlands, we started a movement of Plastic Fishing. 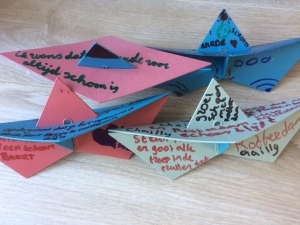 Basisschool de Meerpaal doet mee aan recyclen! Een mooie after movie van de doop tijdens Wijnhaven Festival 18 juni. 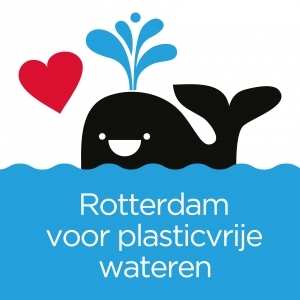 De eerste Plastic Whale Rotterdam sloep is een feit en we hopen met zoveel mogelijk mensen te plasticvissen! Tot gauw op het water!